We at Geauga News are committed to providing positive local news in Geauga County. We aim to provide the highest quality of stories that feature our beautiful county in the utmost positive way. As part of our mission we are committed to highlighting local businesses as a way to connect you, the reader, to these local merchants. With that said we are very pleases to showcase one of our newest business members. 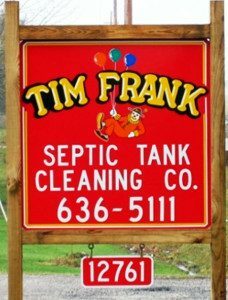 Tim Frank Septic Tank Cleaning Co. was started in 1966 when Tim & Delores Frank purchased an existing septic company who had one truck. 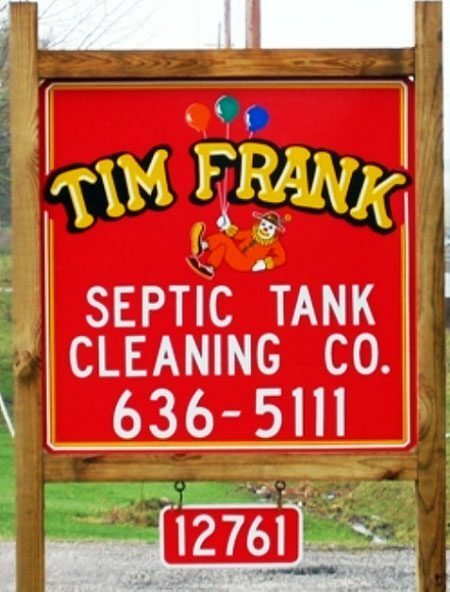 Today, Tim Frank Septic is owned and operated by their son, Tom Frank and his wife, Carol. Our company now has 4 tank trucks providing residential and commercial pumping. We have 2 service trucks which provide sewer & drain cleaning, commercial sewage plant operations, septic inspections, aerator and pump installation and a wide variety of repairs. We provide service in Geauga County and parts of Lake, Trumbull and Ashtabula. 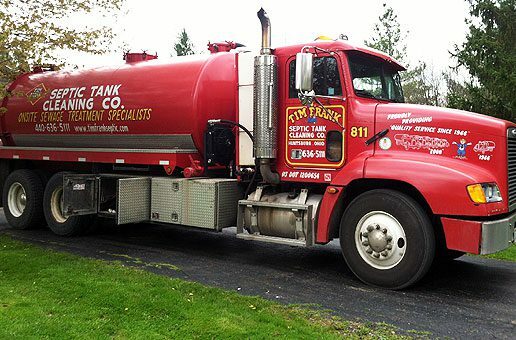 The mission at Tim Frank Septic Tank Cleaning Co. is simple, to be a full service septic company providing prompt and professional service. Our goal is to help educate our customers so together we can make the best decisions to maintain their septic systems. A good maintenance program will help extend the useful life of a septic system. We currently have 9 employees. All of our truck technicians have been trained and certified and have a minimum of 10 years experience, some have 20 years. Our employees are the faces that our customers see everyday and we feel we have a great team. We receive many cards and calls of thanks from our customers. Tom can usually be found in the office in the morning and then he is on a truck for the remainder of the day operating commercial wastewater treatment plants. In January Tom received the Distinguished Service Award from the Ohio Onsite Wastewater Association. Carol runs the office, dispatches jobs and provides customer service with the help of one part-time employee. Tom and Carol’s son Todd will be joining the team at Tim Frank Septic in May after graduating from Ashland University. Along with a bachelors of science in business administration, Todd has obtained his Ohio EPA Class 1 Wastewater license. You can reach Tim Frank Septic at 440-636-5111 or 800-319-2847. Phones are answered Monday through Friday from 8:00 am till 5:00 pm and Saturday from 8:00 till Noon. You can send them an email at sales@timfrankseptic.com. Visit their website and like them on Facebook.